It’s not everyday that plant theft gets prosecuted or even really hits the headlines. 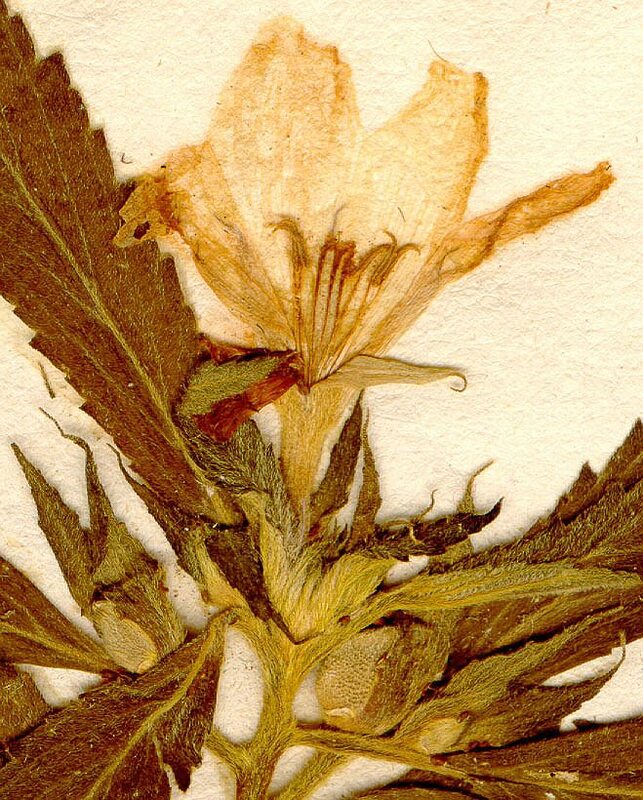 BUT in 1795 there was a fascinating case that reached the Old Bailey and pitted a leading London nurseryman who dealt in exotic new imports against a plant collector who was accused of stealing from his nursery…..and the target plants included a rare geranium! 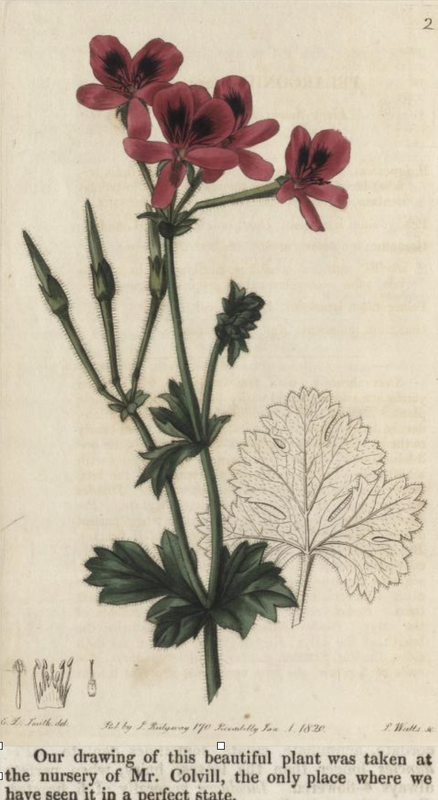 The Geraniaciae, or geranium family includes several genera, notably Geranium [the cranesbills], pelargoniums [which confusingly are still commonly called geraniums], and erodiums. 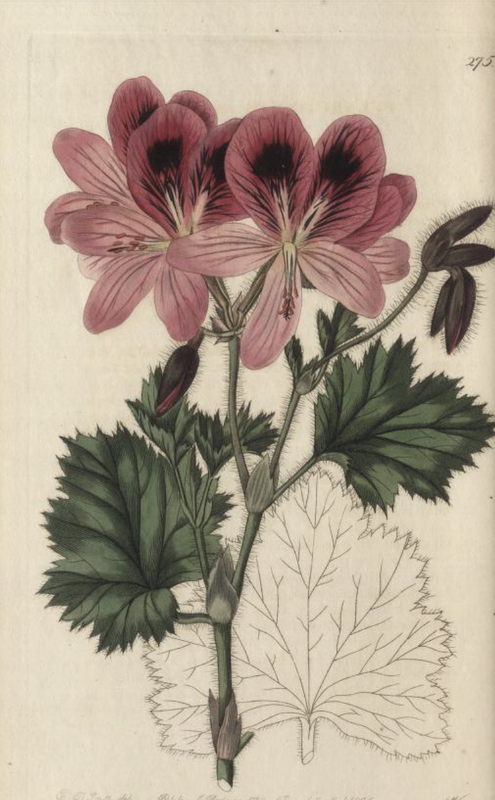 Pelargoniums are indigenous to South Africa and, although a few species had reached western Europe because of the Dutch settlement at Cape Town, pelargoniums remained largely uncollected and unknown until the very late 18thc. 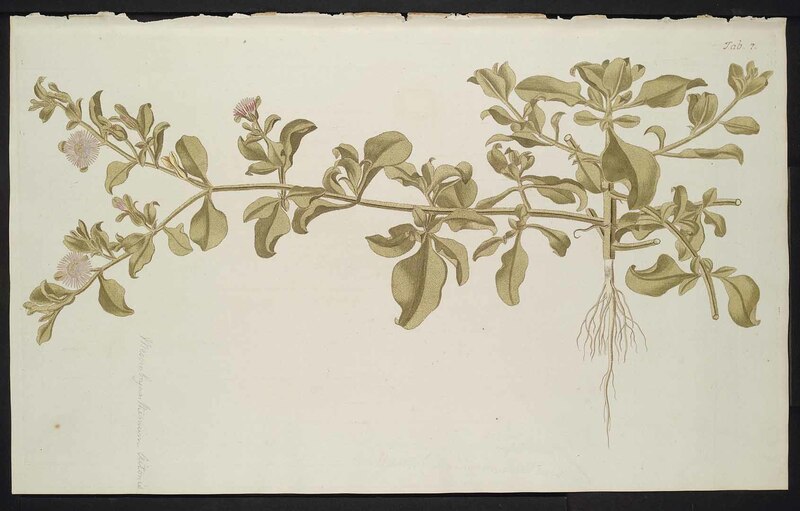 So in 1795, despite the fact that most species propagate really easily, they were still rare and so highly prized and collectible – and thus, of course, very expensive. 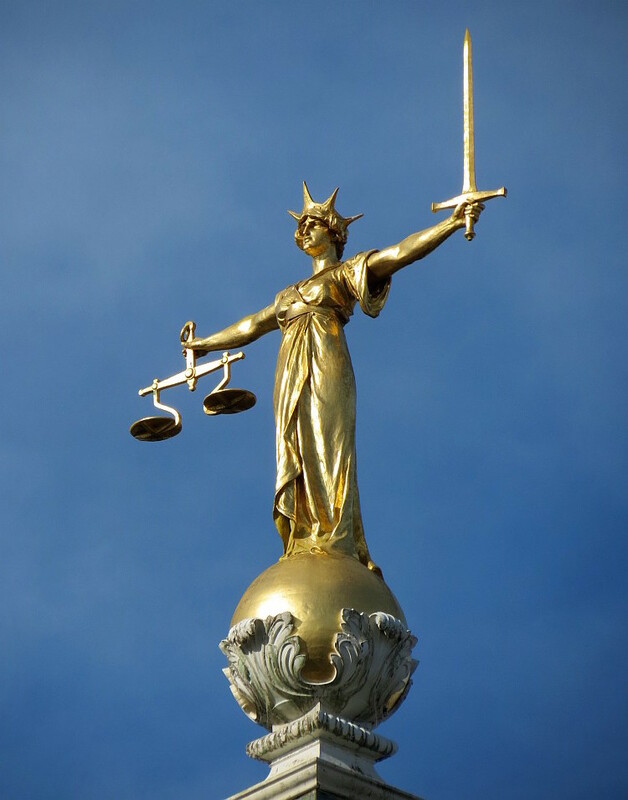 Read the prosecution and defence evidence for yourself and decide whether the jury got the verdict right – and in the process see what the court evidence reveals about the way that a nursery was run. The nurseryman was Daniel Grimwood, who in his day was of some considerable repute but who nobody these days will have heard of [not even many garden history fanatics] but he was the successor to the nursery once run by Robert Furber, the Kensington plantsman, who raised growing & selling plants from a simple horticultural level to a publishing phenomenon. 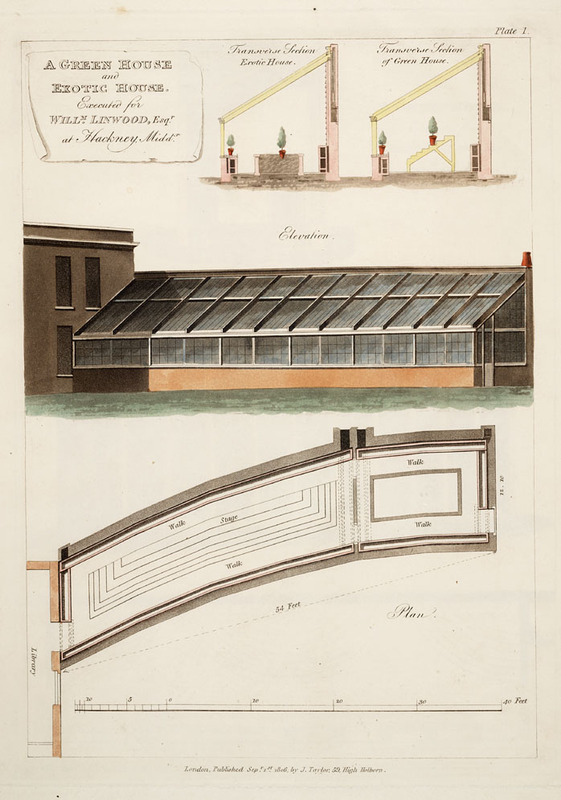 [A post about Furber himself will, I hope, arrive in the next few weeks]. 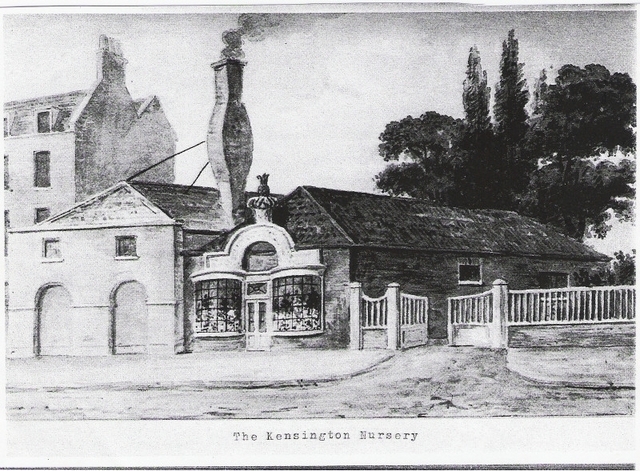 Not only did Grimwood have a large nursery ground in Kensington [close to the palace and where De Vere Gardens now stands] but London directories between 1779 – 1789 also show him having a partnership in a seed and plant shop on the corner of fashionable Arlington Street and Piccadilly called Grimwood & Hudson, and then after 1790 Grimwood, Hudson & Barrett. 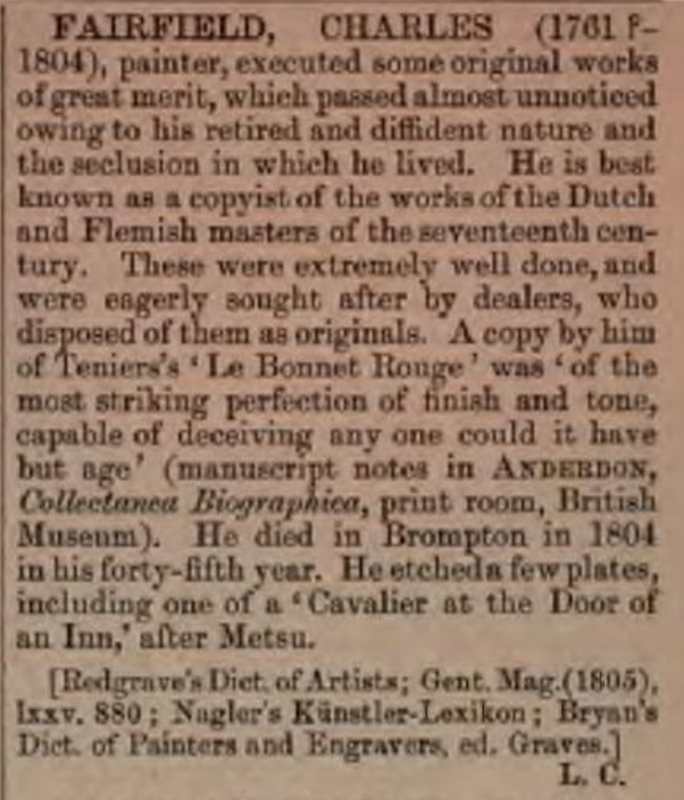 At least one catalogue of his survives from 1783. 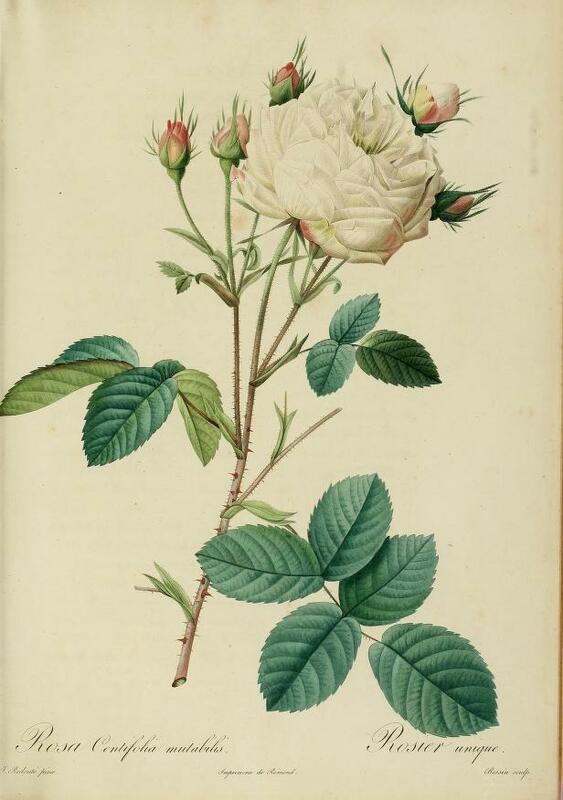 He is known to have imported very large quantities of seeds and plants from North America, and amongst his many other introductions were a white Provence rose – Unique or Unica Alba -which he discovered as a sport, and which unlike most introductions of the period, is still available today. 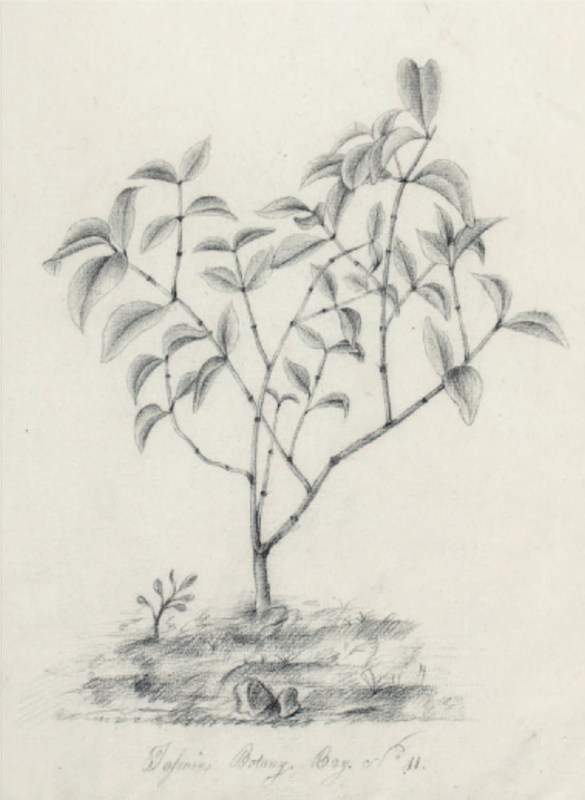 He (or his son, another Daniel) also propagated the Grimwood Royal George Peach. 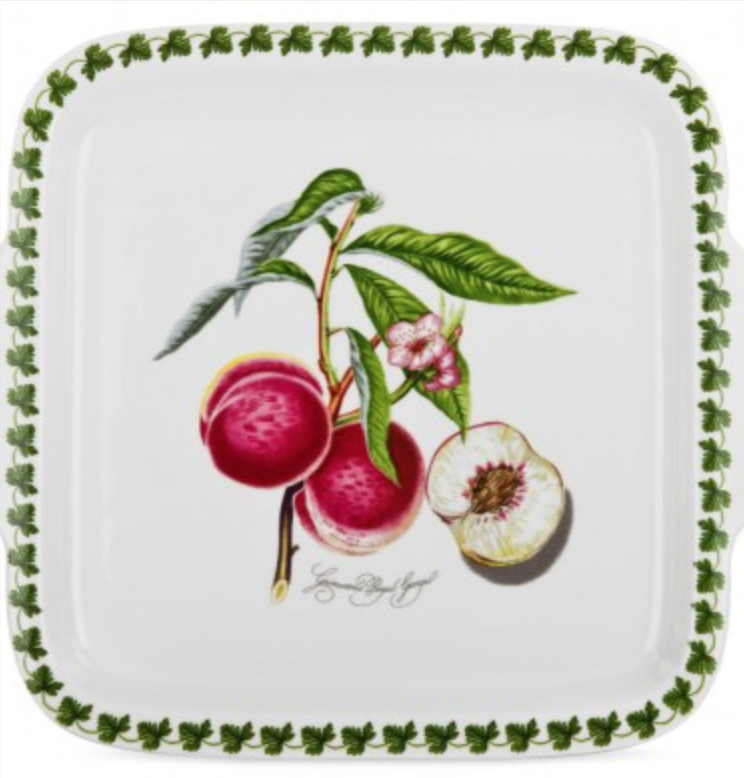 which features on Portmeirion pottery. So what happened that ended up at the Old Bailey? Lets start with witness statements in the trial. But remember this is late 18thc language and late 18thc taxonomy/plant names and they are often incomprehensible! I want to stress that I am not a botanist, and certainly not a taxonomist. That maybe why I have been [so far] completely unable to work out exactly which plants are being referred to. In some cases the trial record is the only source of the plant name used, and thus may have been misspelt or confused by the court notetaker, an editor or the printer. 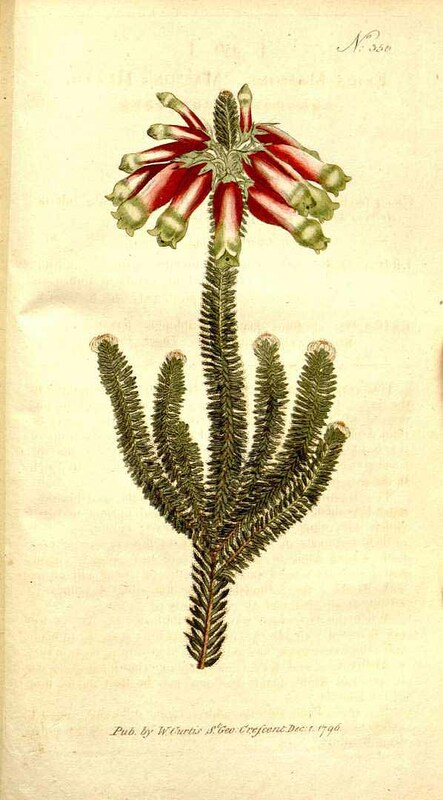 With so many new plants being imported nomenclature was erratic anyway, and names unfamiliar and frequently changed. 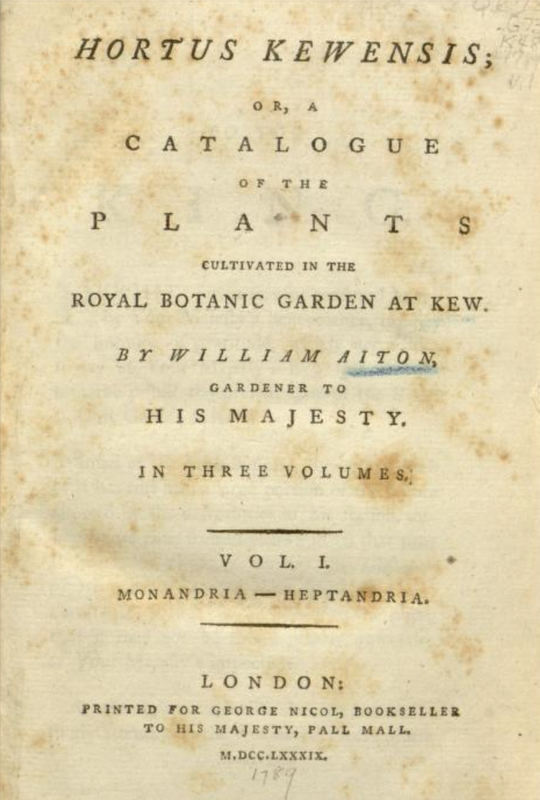 Unfortunately, for some plants mentioned nor is there anything similar-sounding in any of the contemporary lists of plants such as William Aiton’s Hortus Kewensis, the most comprehensive account of plants being grown in England at the time, or in the commercial catalogues of James Colvill, one of the nurserymen most closely involved in the case. Given that Aiton lists 31 geraniums, 102 pelargoniums, and 17 erodiums and Colvill’s 1827 catalogue, 26, 401 and 7 respectively perhaps that is not surprising. As someone else in the case comments …the other plants were presently ‘unnamed’. This says something about the scale of introductions from the Cape particularly in the 1790s, thanks largely to the work of Francis Masson. [He too deserves a post of his own one day soon] And of course, if anyone can throw light on any of the plants mentioned please don’t hesitate to let me know! 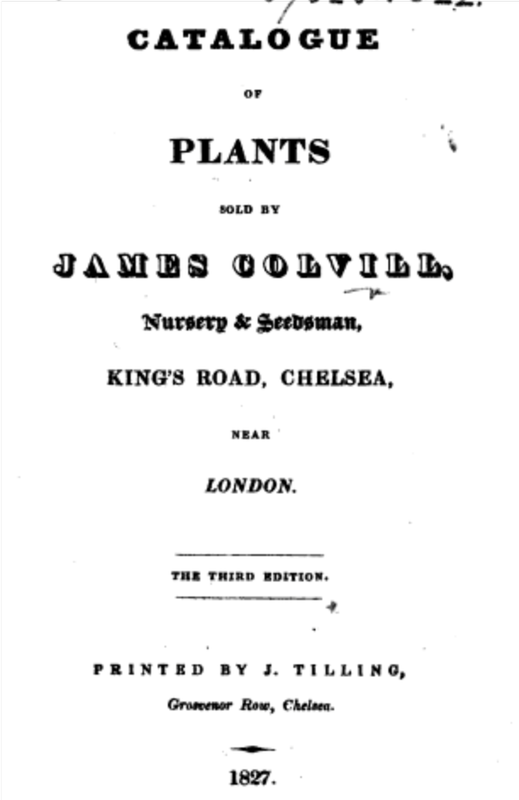 “Mr Colvill” was James Colville,(c. 1746-1822), another extremely well-known London nurseryman and florist. 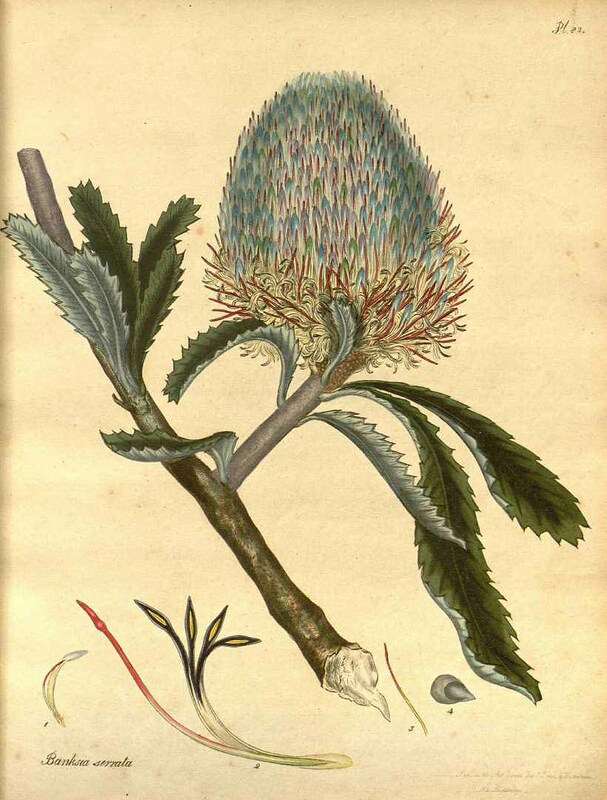 He had a remarkable collection of plants, many of which were the subjects of plates and descriptions by Robert Sweet, in The British Flower Garden (1838). 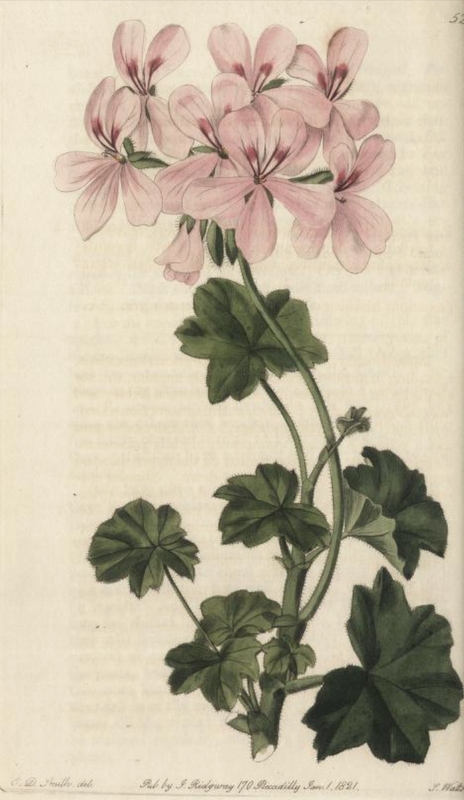 In 1795 Colvill was singled out in a guide to London as carrying on a very extensive business in Chelsea for the sale of scarce exotic plants, particularly geraniums, the culture of which had ‘been brought to very great perfection'[ Lysons, Environs of London, II. 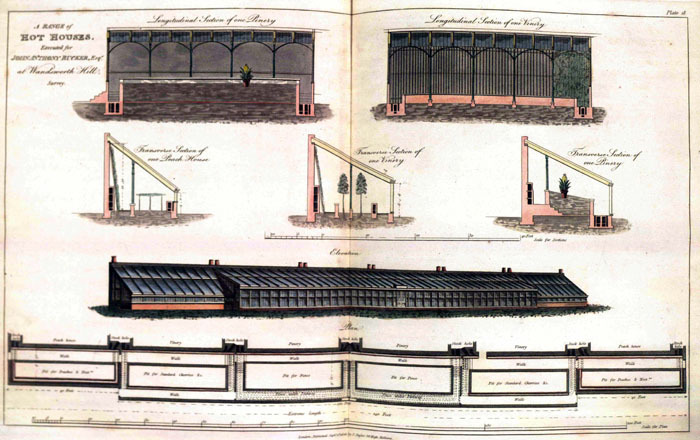 71 n.] His collection of the genera also featured extensively in Sweet’s Geraniaciae of 1820-22. Indeed he was: almost the stereotypical impoverished painter living almost hand to mouth. The original Dictionary of National Biography talks of his “great merit” but despite this, as his obituary in the Gentleman’s Magazine of 1805 noted: “he was never in easy circumstances, and for a great part of his laborious life was under the clutches of the griping and unconscientious picture-dealer, who gathered the fruits of his labours by practising deceits upon the world”. What is not noted anywhere is that he also clearly loved plants….. and so now back to the trial. Wyke had been one of the search party at Fairfield’s house where “I found twelve plants, the same that we had lost the Monday before, and on the premises I found four other plants, two in the garden and two in the green house, that we had lost before that time” Clearly plant theft was a more common occurrence than might be expected. Five of the plants were produced in court. Pressed to say that they were actually common enough plants he responded that “This sort of bankfieur is not a very common plant, there are more sorts of bankfieur than one.” Indeed there were. 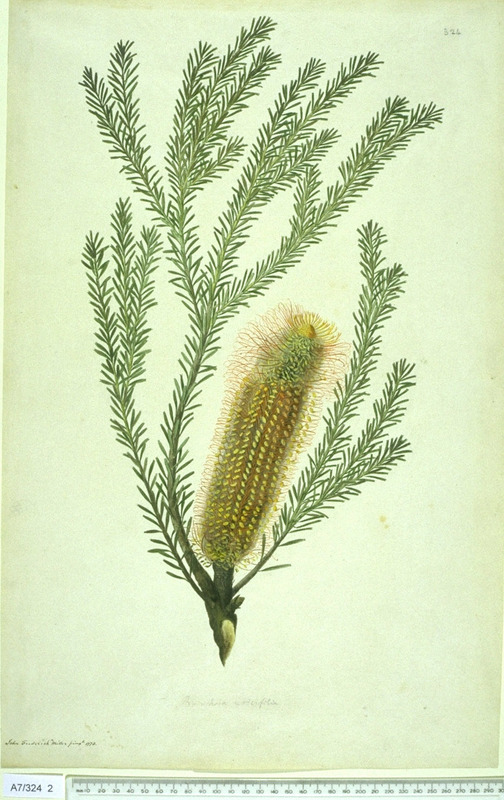 James Colvill’s catalogue listed 24 banksia species for sale. 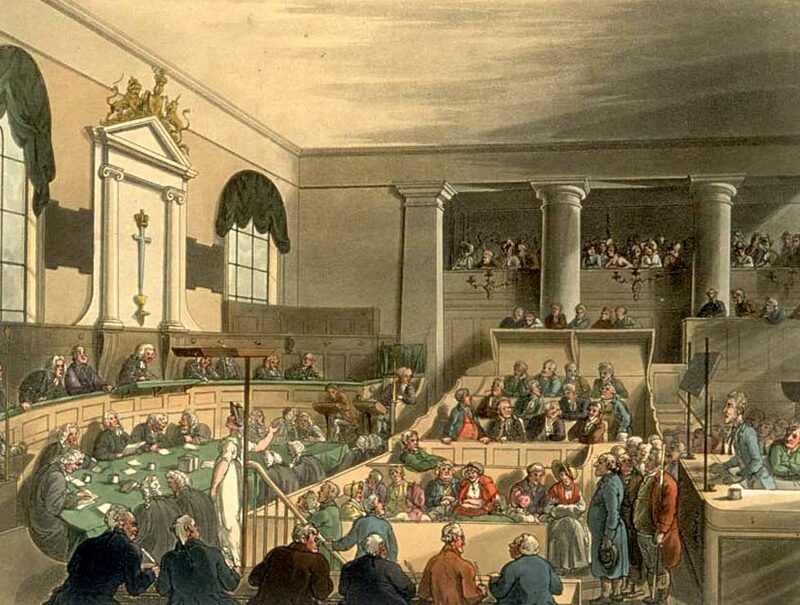 Now it was time for Colvill himself to give evidence, but since I’ve already used up my usual word allowance for the week, you’ll have to wait for the next episode to find the result of the trial! This entry was posted in Uncategorized and tagged Francis Masson, James Colvill, kew, nurserymen, plant hunters, Plant theft, South Africa, William Aiton. Bookmark the permalink. A great story, so far. I’m eager to read the next instalment.